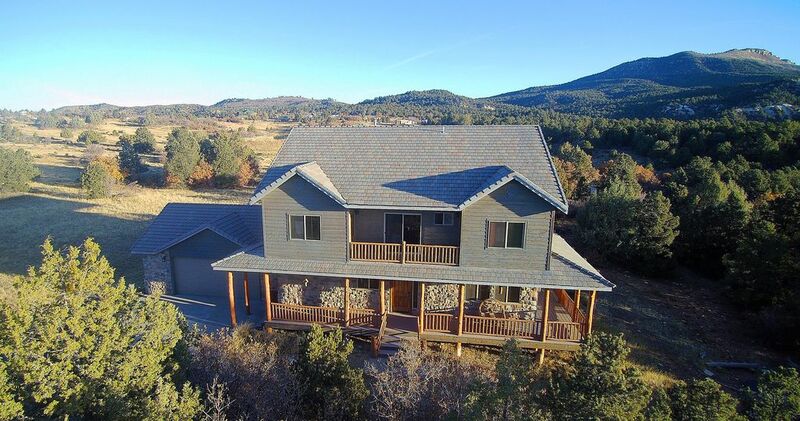 This home is within walking distance to Zion National Park East rim trail. Coyote Ridge is a luxury vacation home designed with the charm and beauty of the old west. With the popularity of Zion National Park why not hike into the park straight from this home. You can access trails like the East rim, Cable Mountain and our favorite ,Observation Point from this neighborhood No shuttle, no crowds. Coyote Ridge has four bedrooms and 3.5 bathrooms. We can accommodate up to 14 people in beds. We have a fully furnished kitchen and a large stone gas fireplace. Two Satellite TV’s with DVD player and a selection of movies. There is a large balcony on the front and a very large deck that can accommodate large parties. Coyote Ridge sits on one acre that backs on to open space to give you that true mountain experience. There is a large gas barbecue grill and outdoor seating for those evening mountain dinners. There is great access to surrounding forest/plateau country and Zion for hiking, mountain biking, horseback riding, photography, and great sightseeing. Located to take day trips to Bryce National Park less then an hour, Zion within walking distance, The North Rim Grand Canyon 2 hours , Lake Powell 2 hours, Navajo lake and many more sights to see in the area. At Zion Ponderosa Ranch & Resort 1/2 mile from the cabin. Communal Pool is located at Zion Ponderosa Resort located 1/2 mile from the cabin. There is a $7.00 per day per person or a discounted rate of $20.00 for the entire stay for all non-guided activities including use of the pool. Parking for RV/Boat/Trailer. The property was great. The house has anything we needed. Close access to many great hikes. Only a short beautiful drive to the canyon floor. Spent 3 nights here with 6 fellow graduate students while visiting Zion and Bryce. Plenty of space, fully equipped kitchen, and a hot tub. What more can you ask for? Also, closely located to local national parks but far enough to feel secluded and get away from it all. Community felt safe enough that some in our group felt comfortable enough to sleep outside on the deck. Loved seeing the deer walking through the backyard in the evenings. Property manager was was very responsive and helpful for any questions and concerns that I had. It was certainly an unforgettable weekend and this was a perfect place to stay! My family had a wonderful time. Great home. We had a really good time, I will be back for sure! Was a perfect house for our extended family vacation. Good location for visiting Zion and Bryce, then for follow on trips. Very nice house, ping pong table a plus! Lots of room, very clean, modern and spacious. Only downside is long drive to nearest grocery store. Would recommend doing shopping before coming in. They should also mention they are right next to a resort with miniature golf, restaurant, and many other activities. Much more to do there than we expected. Would highly recommend staying there. Very quiet, beautiful area.